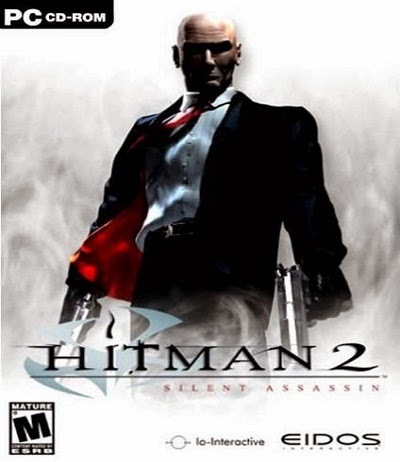 Hitman 2: Silent Assassin is a stealth video game developed by IO Interactive and published by Eidos Interactive. It is the second entry in the Hitman series and the sequel to Hitman: Codename 47. Highly Compressed To 180 MB. 1. First Open - "Hitman 2 Silent Assassin.exe" Setup File. Yes it will work on windows 8 with your given config. Admin, Is it full version with all gameplay videos , cutscenes etc or all these things are removed because I had recently downloaded Hitman 3 Contracts from your site and It has no Cutscenes, Gameplay videos etc. And also you are doing a great job. Thanks for all these stuffs. Yes its a full version game. You can go for it. I am in a big trouble i have downloaded DirectX 8.1 but when i start the game black screen appears and then the game turn off please i am really in a big trouble if you find a solution it will be grateful. Which OS your use ?? good website for games and software. Which OS you use bro ?? I think you miss some files. Reinstall it. Thanks ATH for such games. Which Graphic Card You Use? Will it work for Windows XP? I have downloaded the demos and they work without any hitch. I want to uninstall this game but this game is not shown in the list of control panel program uninstall how can i unistall it ? Go to c drive program files folder and then find hitman 2 folder. Then just delete this game folder and you are done. It will work. But you need to change its compatibility to Windows XP SP3. why doesn't the cheats work ? ITS WORKING DEAR... LOVE YOU.. Thanks for your game. It run in win 8.
the game is crashed in the mission in malaysia!give the solution please..
Give us some time to check and fix it. Plz tell me this game realy work? WILL IT WORK ON WINDOWS 7 ? Yes. You can go for it. If its does not open then change compatibility settings to windows xp. where from it got it???? Please message us with screenshot on our fb page.